Numerous clusters of explosive balloons were launched towards southern Israel by Hamas-led terrorists this weekend. Once again, Israeli farmers and security personnel scrambled to reach the agricultural fields of the Eshkol Regional Council, Sha’ar HaNegev Regional Council and other nearby districts as homemade bombs landed, attached to the colorful balloons so attractive to children. 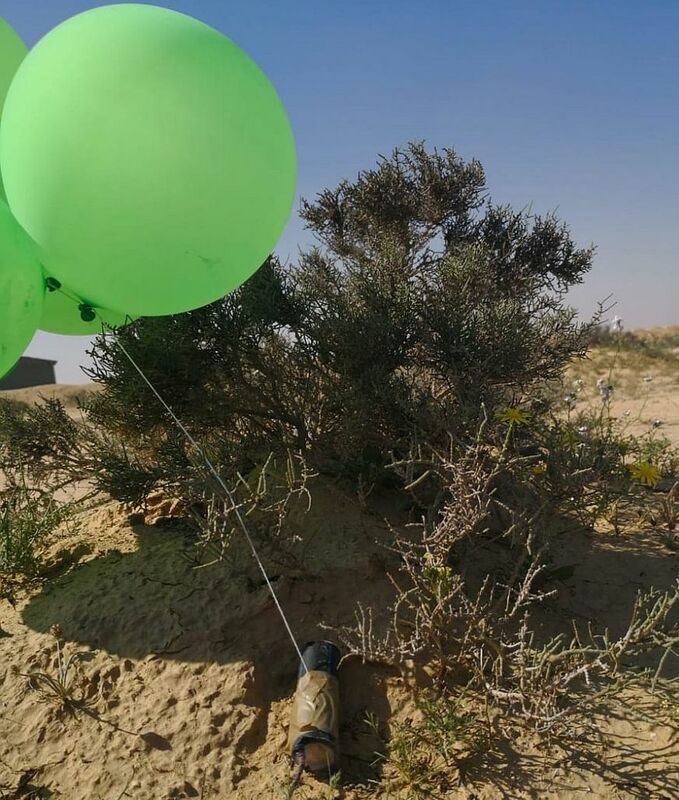 One such cluster of pretty, lime-colored helium balloons was tied to a pipe bomb that landed near a Bedouin village located close to the Israeli city of Dimona, in the northeastern Negev — again, clearly targeting children who are attracted to the bright colors. Even Bedouin children. All children are susceptible to pretty balloons; as a result, those in the village knew it was important to contact Israeli security personnel in time to defuse the frightening attachment that anchored the balloons to the ground nearby. Bedouin trackers in the Israel Defense Forces are some of the most highly valued members of Israel’s military forces. This weekend Israeli sappers were the most valued members of Israeli society for Israeli Bedouin as well. Previous articleWeek 51: Hamas-led Violence at Gaza Border, Again. What Else is New?